Welcome to Touch of Beauty! Touch of Beauty established in 1994 and we are your number one source for all your beauty supplies and we look forward to provide you with the highest quality service and products at the most competitive prices. We specialize in everything beauty! 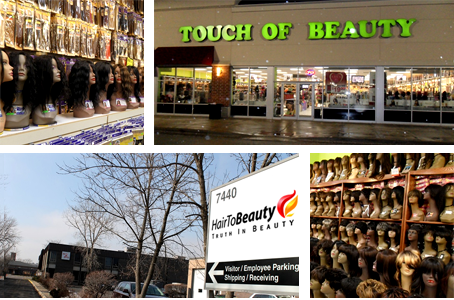 We have the largest inventory of hair wigs as well as hair care, skin care, accessories and so much more! As business and demand for products grew we expanded to online, www.hairtobeauty.com, to provide our customers exceptional service and quality products.